Busy? Maybe even overwhelmed? We understand. Here are our most valued time, team and process optimizing resources. Click below to download any or all of our valuable resources! 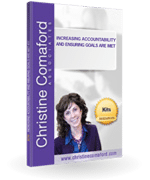 BusinessWeek declared, “97% top-level executives experience high stress levels when deadlines approach.” Our Accountability And Ensuring Goals are Met resource can help you keep your eyes on the prize and your foot on the accelerator. Top executives surround themselves with the best talent. Is your recruiting system effective enough to find out who is an A-Player and who plays in minor leagues? 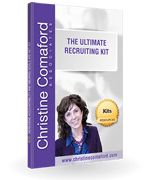 The Ultimate Recruiting Kit is your resource to find and recruit the best talent on the market. Every sales lead you engage costs you time and money in the long run. Nowadays, it is more important than ever to learn the art of disqualifying prospects. By Streamlining Your Sales Funnel, you can ensure your business only targets the most profitable prospects. Are you the founder of a company? Is your company cusp of breaking into the market with a fresh IPO? After founding over eight successful companies on my own, I choose the share my knowledge and expertise through my kit: Funding Is Only Half The Battle: Funding And Founder Fundamentals. Is your advisory board optimized to make decisions as fast as the market moves? By Optimizing Your Advisory Board, you can stay one step ahead on the rapidly changing market and maintain a competitive edge on other companies in your field. Businesses cannot be run solely by one individual, and building a highly successful, highly skilled team to pitch in will make the overall business functions operate much smoother. In order to assist you in assessing your team’s performance. Businesses cannot be run solely by one chief executive. The key to success lies in building a highly skilled team to allow everyday business functions to operate much smoother. The act of defining personal goals and values is the first step to effectively growing as a team player and an executive. When you are carrying the heavy burden of personal stress and negativity your whole team knows it. Knowing What You Want and How To Get There: Why Are You Building This Company? What were your personal goals when you started this business? Have those goals shifted since the company’s inception? Do you understand the principles of business vision and how to lay the groundwork for success? Intellectual Property is one of the most important factors in designing a successful company and maintaining a competitive and profitable edge in the marketplace. Do you have a strong Intellectual Property Strategy in place? Where do your potential customers hang out online? To achieve success in today’s virtual world you must have a strong understanding of basic Marketing Optimization and Focus methods to drive potential customers to your products. A detailed description of how CEOs impede themselves in the business world, personal mistakes that slow growth, paralyze their talented teams, and leave great revenue on the table. Inside, we will explore simple strategies to avoid these critical mistakes, sidestep mediocre undercurrents and raise your company to the next level of excellence in all facets of business. We all want to have tons of energy in our lives, yet we often “burn up” our energy inefficiently or get drained via being stressed or disconnected to what deeply matters to us. The following processes will help you to get still, then “recall” your energy when you feel “empty”, and finally to re-establish what really matters so you stay more balanced going forward. One of the most important and core elements a company of people can be aligned on is their mission, vision and values about the company. These components are essential and powerful drivers for the exec team to efficiently achieve the success they want.